© 2017 Lionsgate. All Rights Reserved. 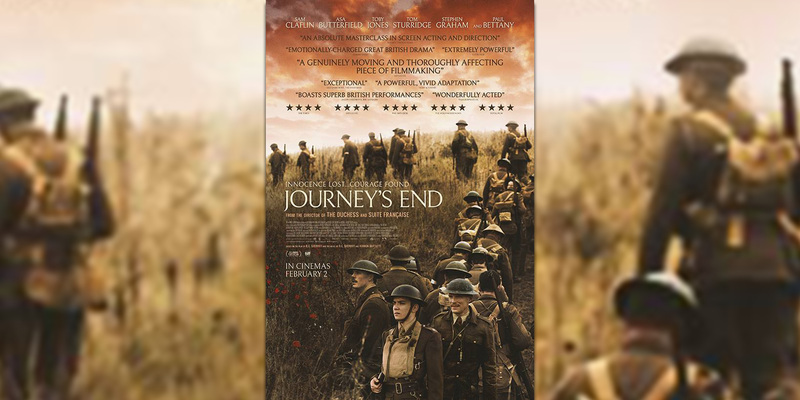 Join us for a screening of 'Journey's End', followed by a Q&A with the film's producer. Guy de Beaujeu is an independent film producer who has successfully adapted for the screen two classics of First World War literature, Michael Morpurgo's 'Private Peaceful' and RC Sherriff's 'Journey's End'. He will discuss the making of 'Journey's End', from his original decision to seek out the rights, through to his work during production with Combat Stress, the UK's leading charity for veterans' mental health.